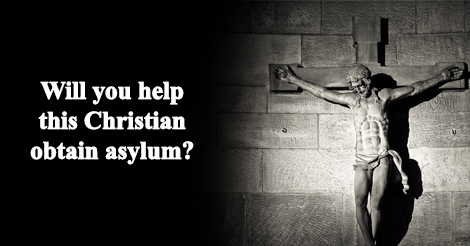 Ask President Trump to give Christian Asia Bibi Asylum! There is a Christian woman in Pakistan who needs serious help. She has spent the last eight years in prison. She affirmed that Jesus had died for us and asked what Muhammed had done for them. Local police then arrested her and condemned her to death for blasphemy against Islam’s prophet. Now finally her case has been closed and the blasphemy charges have been acquitted. …there are Muslims, political leaders, Muslim legal experts, and Imams calling for her death regardless of the ruling. Send your petition to President Trump asking him to offer asylum for Asia Bibi. They have taken to the streets in demonstrations with signs, “Hang Asia Bibi!” and threatened to shut down the country. Her life is in danger and we need to help her. We have no time to lose. Asia Bibi and her family members can become the target of assassins any day. Please sign this petition and share it with as many people you can. The Pakistani Christian, Asia Bibi, has spent the last eight years in prison in Pakistan. Her offense? A simple confession of faith in Christ in a private conversation with other women. For this reason alone, she was accused of blasphemy and sentenced to death. But on October 31, 2018, the Pakistani Supreme Court decided to acquit Asia Bibi. However, she and her family are still threatened with deadly danger. Immediately after the verdict, thousands of Islamic fanatics took to the streets calling for her death. Therefore, I am asking you to give Asia Bibi and her family asylum in the United States of America, a country where they can live freely! I realize that Asia Bibi would have to ask for asylum, but I am convinced that after eight years in prison, she may not be able to organize everything herself. That is why I am appealing to you to contact her with an offer to organize legal and logistic help. We have no time to lose. Asia Bibi and her family members can become the target of assassins any day. I trust that you will rise to the task and help save the lives of innocent people persecuted for their faith.